When Pam learned about a festival celebrating all things chocolate, you didn't have to tell her twice. We're there! 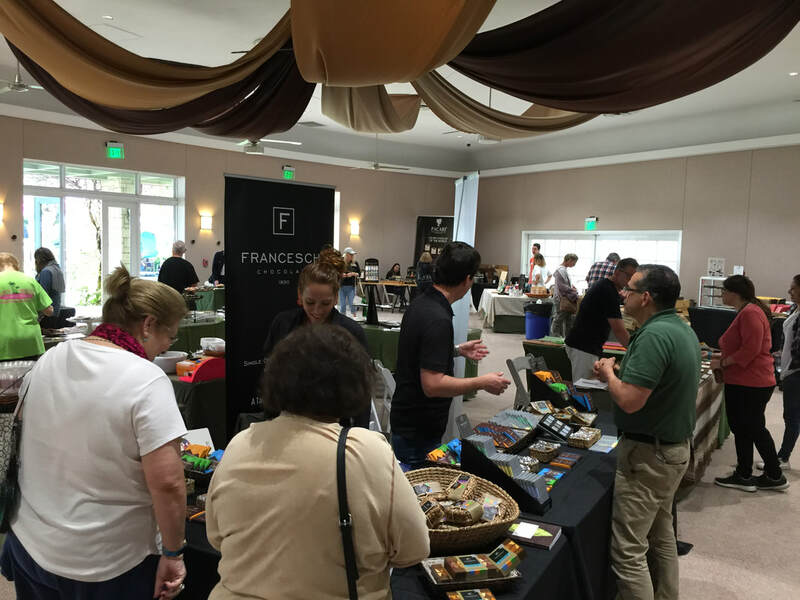 The event is the 13th Annual International Chocolate Festival at Fairchild Tropical Botanic Garden, happening Jan. 25-27 from 9:30 to 4:30 each day. 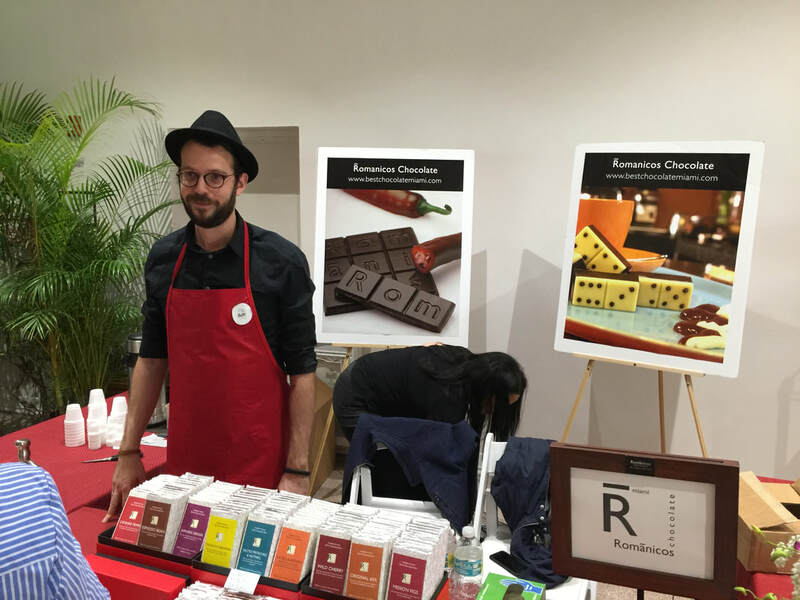 We joined hundreds of other chocoholics on the first day, seeing the exhibits, visiting the vendors, learning about how chocolate is produced and most importantly, sampling the wares! 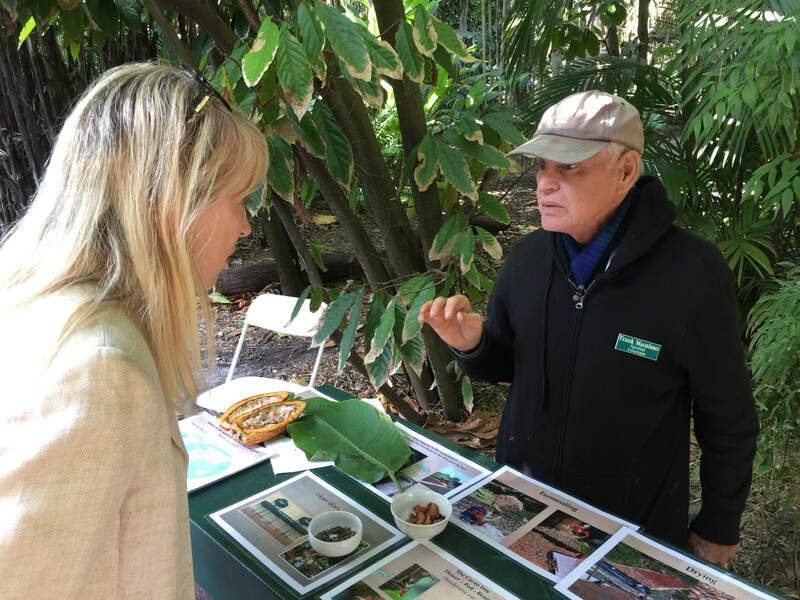 This weekend, guests also can choose from a variety of lectures and cooking demonstrations. 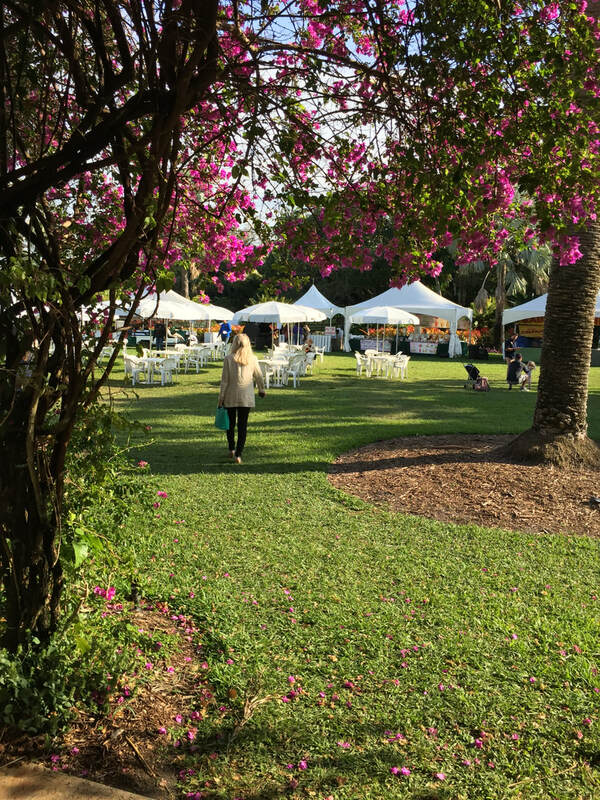 Other popular venues are the Choco Beer Garden -- sweet sips from local breweries -- and the Chocolatiers selling their goods in the Garden House. There's even a ChocoSpa, where you can get a chocolate-scented massage. Kids can get interactive with the Chocowalk Passport Expedition and attend the Chocokids Story Time. It's pretty much a chocolate lover's dream. ​ his hot chocolate ... divine! 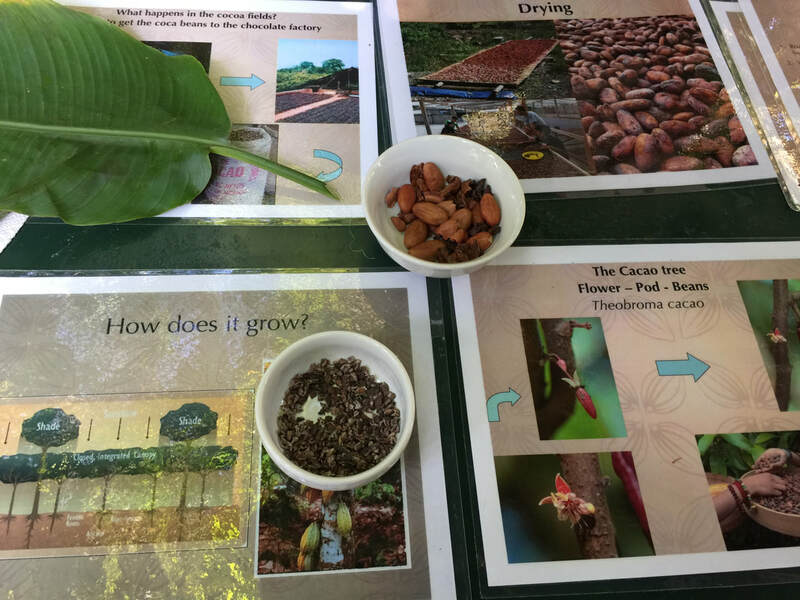 Frank, a Fairchild volunteer, explained how the chocolate is harvested from the cacao trees. ​T-shirts, a bargain at only $12. The vendor tents were buzzing ... Pam scored some new jewelry. before it's gone for another year.